Younique Country Retreat is a scrapbooking, card makers and crafters dream. We do day, weekend, weekday, retreats and crops. 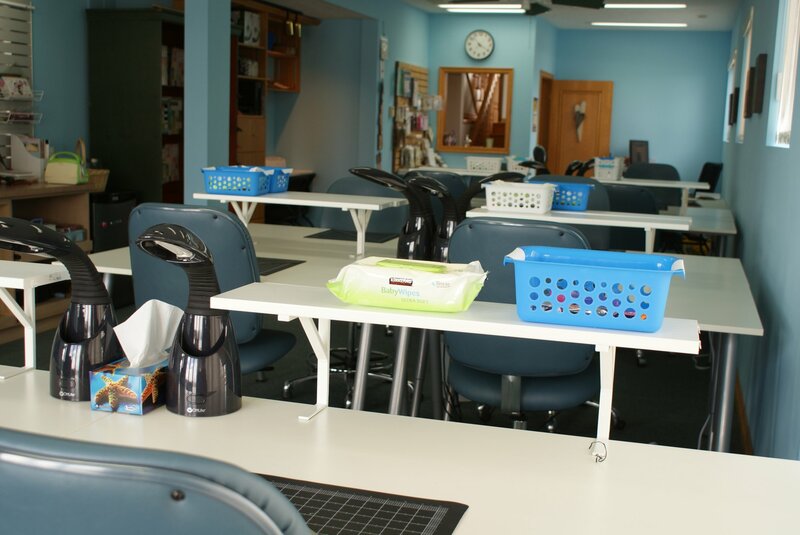 Our studio is set up for scrapbooking, card making and all kinds of crafting. 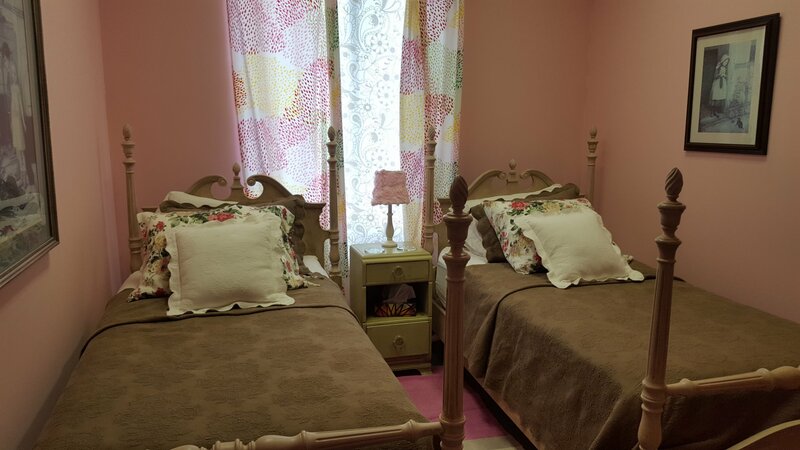 We can accomadate up to 10 guests for overnight stay. The studio has amazing natural light, plus we have installed LED lights above all work stations, and have even added Ott Lites to each work station. Each station also comes with a self healing magnetic mat and a basket with some essential tool. The studio is setup with all the latest tools and toys to play with. The building has WIFI for your use during your visit as well. 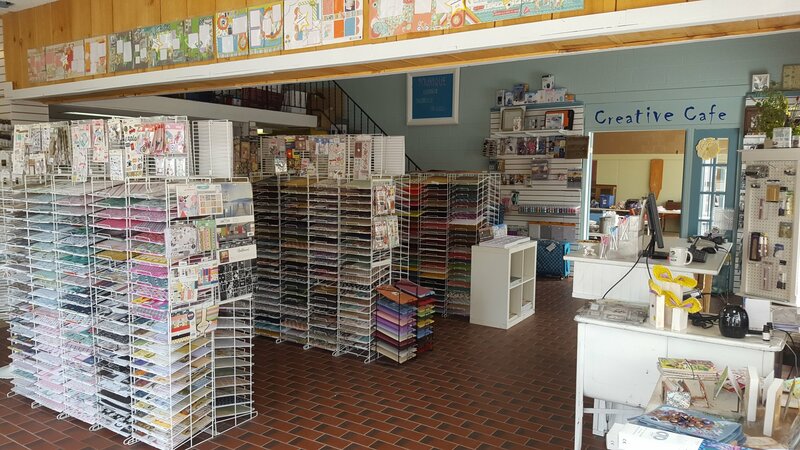 Younique Scrapbook Store is 5 min from the retreat in downtown Mount Forest and has all the latest scrapbook, cardmaking and craft supplies, with new items arriving weekly. 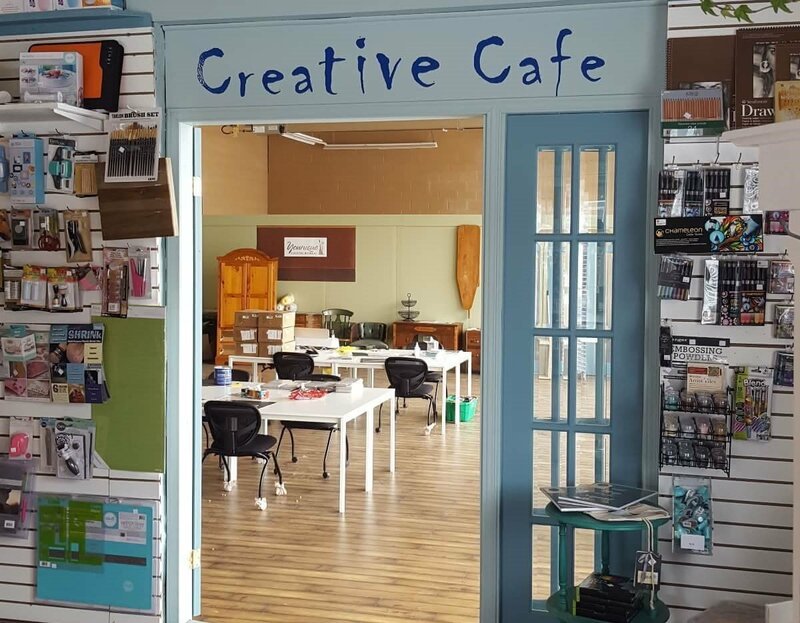 Creative Cafe is a full studio at the store location, that can be used for crops, parties and classes. 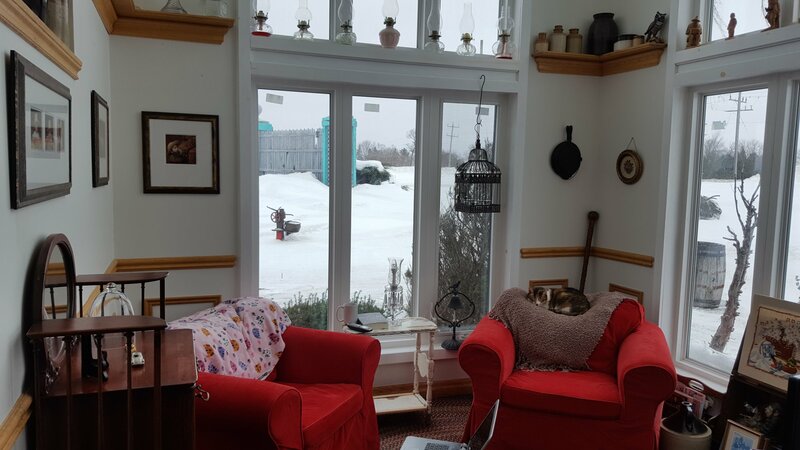 B & B and by the time the home was purchased the plan had changed into a “retreat for women”. Heather wanted to create an environment where women could relax and not worry about the day to day life issues. We started with a very tiny booth at Scrapfest in Paris Ontario and as they say the rest is history. Word of mouth soon spread and we became the only retreat center in Ontario that was fully set up and geared for scrapbookers and cardmakers. 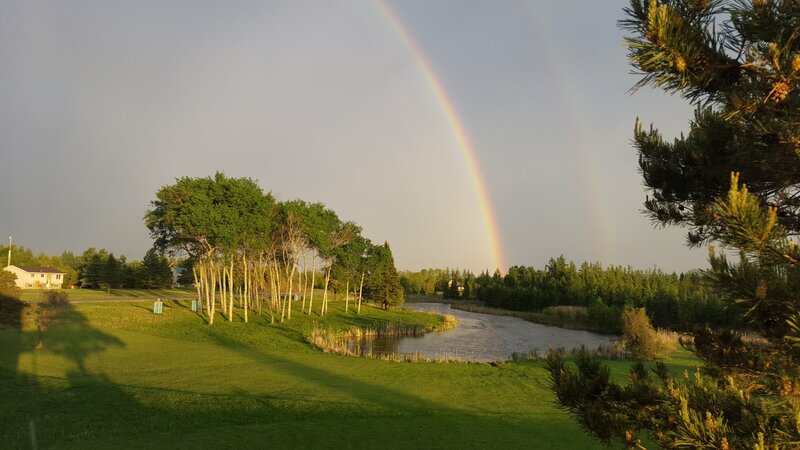 As we started booking retreats it became apparent quite quickly that a decision had to be made as to whether we kept the business going or continue in the Corporate world – this was not a very hard decision to make. Jeff our son soon joined the business and was the wheels behind the meals. Our guests fell in love with his food and his passion for pleasing them. 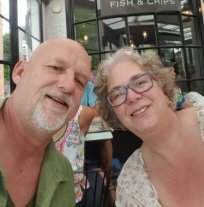 While Jeff has moved on to an Artisan Baker position in Guelph our guests still get a peek at him once in a while when he helps us out at some of our larger events. When Dan became part of the grand exodus from RIM we decided that he would come on board and we would work together on a new journey and in 2014 we decided to open up a second location in Mount Forest. 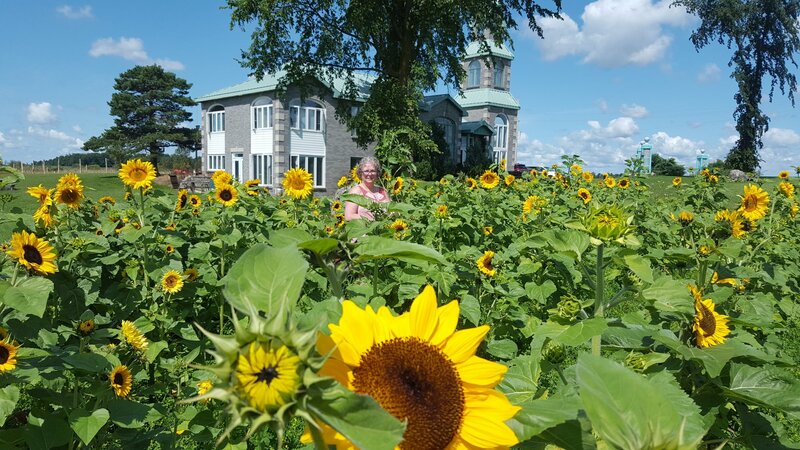 This location soon became the most popular choice with our guests and in 2017 we decided to move out of Guelph and focus on our location in Mount Forest. And for those that know us, we never leave things alone and 3 years ago the store in downtown Mount Forest was under way. We did still have the wheels turning and hoped that we could move into a larger location at some point. This of course happened beginning of 2018 when we moved into our current location of 198 Main St N. This overwhelming positive response to the new store has been great for us and with our Creative Café in the store we are expanding into lots of different crafting adventures. To name a few of our classes; scrapbooking, cardmaking, Cricut lessons, aromatherapy, furniture finishing, wood and mat painting and so much more. We will continue to grow and listen to the needs of our customers so that we can be the best little craft place in town. April 24th 4-6 Mat Class Create a one of a kind mat. Pick from the many different quotes andSayings on Pinterest or come up with your own.Details for the mat design must be sent to us by April 19th the latest so that we canhave your stencil cut and ready to go.